David Wildstein-Bridgegate: Ex-Christie ally pleads guilty to role in George Washington Bridge scandal. New Jersey Gov. 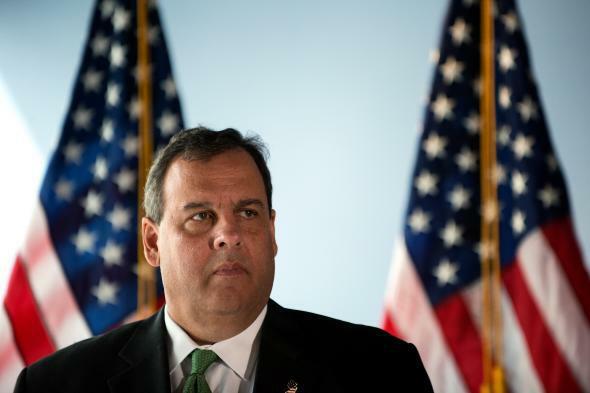 Chris Christie has not been implicated in the scandal, but is still likely to pay a political price. A former ally of New Jersey Gov. Chris Christie pleaded guilty on Friday to helping to engineer four days of massive traffic jams near the George Washington Bridge in 2013. The gridlocking-producing scheme was meant as political retribution against a Democratic mayor who didn’t endorse Christie’s re-election bid, but instead has resulted in a 16-month-long-and-counting political headache for Christie, who is eyeing a run for the White House. [Wildstein] said that he came up with the plans along with Bridget Kelly, who was Christie’s deputy chief of staff, and Bill Baroni, who was Christie’s top appointee at the Port Authority. He said they orchestrated the scheme to punish the Democratic mayor of the town of Fort Lee, at the foot of the bridge, for not endorsing Christie’s re-election bid. He said they also agreed to cover it up by claiming the lane closings were part of a traffic study. Kelly, who was fired by Christie after the scandal broke, and Baroni were indicted on multiple charges Friday, including fraud, conspiracy, and deprivation of civil rights. No other members of Christie’s team are expected to be indicted, according to the federal official in charge of the case. “Based on the evidence that is currently available to us, we’re not going to charge anybody else in this scheme,” Paul J. Fisherman, the U.S. attorney for New Jersey, told reporters at an afternoon briefing. Notably, Wildstein did not implicate Christie in court. His lawyer, however, later repeated his previous claims that “evidence exists” suggesting Christie knew about the plot while the lane closures were happening. “There is a lot more that will come out,” the attorney, Alan Zegas, told reporters outside the courtroom Friday. Christie and Wildstein, who were high school friends, were also reportedly at the same place at the same time—for a public event at the World Trade Center—during the third day of the closures, and well after the traffic jams had triggered outrage among local officials. Christie has repeatedly denied involvement or knowledge of the political plot, but the fallout from the scandal that now touches his inner circle has dimmed his political star ahead of the 2016 cycle. Even though he has never been linked directly in the politically motivated scheme, questions about it and his leadership in general will now loom even larger if he decides to jump into a crowded GOP field.